Food Supply Chain | Ositech Communications Inc. Monitoring temperature, time, oxygen and moisture are some of the critical factors in worldwide implementation of HACCP (Hazard Analysis and Critical Control Points) programs during transport of perishable food. 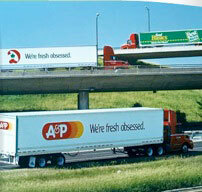 Majority of perishable food is transported using trailers/trucks. Operators of these transports are required to provide proof of managing the critical factors during transport from pickup to the delivery location. This involves 24/7 monitoring and logging of the required information in real-time to manage these critical factors. Titan II family of advanced, compact and lightweight customized router/gateway provides the integrated hardware needed for rapid deployment of HACCP requirements in trailers/trucks transporting perishable food. Titan II family of adapters offer a variety of ways to communicate with the required sensors using technologies such as RFID, WiFi, Ethernet, USB etc. Contact Ositech for more information and to discuss your specific needs.